LeEco is in no mood to leave any stone unturned in pouncing on the Indian consumer electronics market. The company announced a price cut on the Le Max 2 by Rs. 5,000, given the competitive conditions in the Indian market. 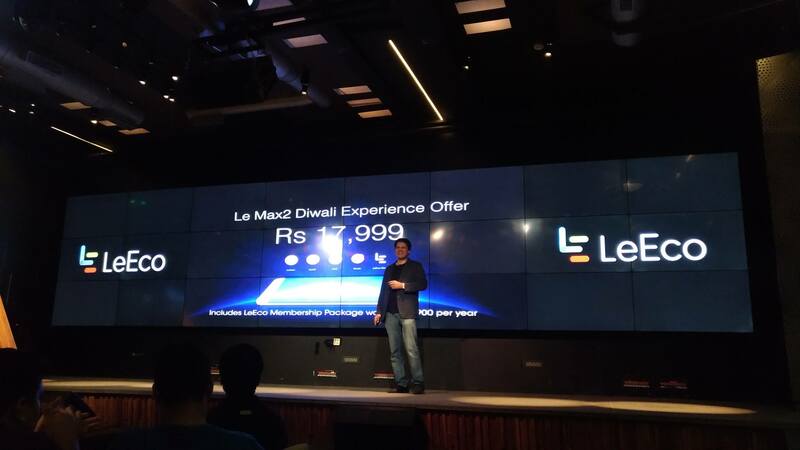 In addition to the price cut, LeEco also announced that the Le Max 2 won’t be exclusive to Flipkart anymore. At 22,999, we have already told in our review that it is bang for the the buck. But LeEco thought its customers deserve more than that and temporarily slashed the price to 17,999. Now, you are getting more than what you will pay for it. So, if you have been trying to buy a phone with flagship hardware at a dead cheap price, your dream will come true between Oct 1-Oct 6; you can buy Le Max 2 for 17,999. Motorola has started the tradition in 2014 of selling phones exclusively on a e-commerce portal. Soon, many Chinese OEMs jumped on the bandwagon by choosing one of the three e-commerce giants: Flipkart, Amazon, Snapdeal to launch their products. But in 2016, with smartphone sales on decline, many OEMs have realized that being exclusive to a portal is limiting the market share and withdrawn from that tradition. Now, LeEco has joined the list. “We will start with selling our LeEco Max 2 on Snapdeal and Amazon as part of their festival sale. This will give us access to a wider market,” LeEco COO Smart Electronics Business Atul Jain told PTI. Yes, you have heard it right. Le Max 2 will not be exclusively sold at Flipkart during upcoming sale. If you have suffered from Flipkart quirks earlier, it is a good news for you, as LeEco has partnered with Amazon, Snapdeal for selling Le Max 2 between Oct 1-Oct 6. It should further compel to own a Le Max 2.